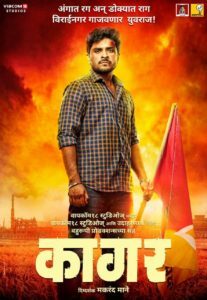 Upcoming Marathi movie Kaagar is all set to release on 26th April 2019. 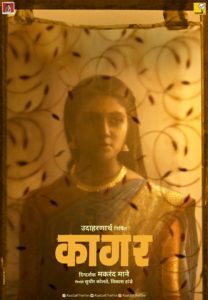 Kaagar is starring Rinku Rajguru, Shubhankar Tawde and Shashank Shende in prominent roles. Songs are the inevitable and very important part of any film. And it looks like Kaagar has already stole hearts with this part as well as with teaser. 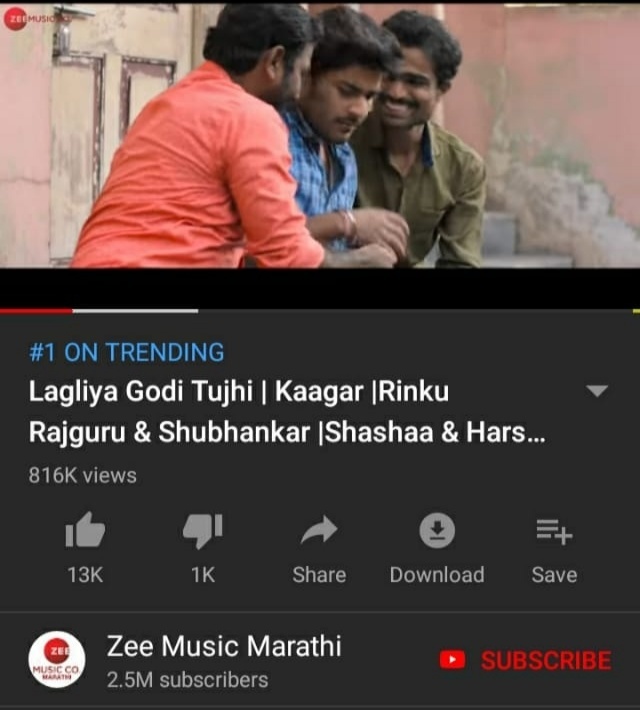 Kaagar’s song Lagliya Godi Tujhi has got more than 9 lakhs views, more than 13 thousand likes and is trending #1 on YouTube in just a single day. That’s a remarkable success for Marathi songs and films. Getting such a huge response in only one day is pretty big achievement and we would like to congratulate team Kaagar for this. The song is penned down and composed by AV Prafullachandra. Its sung by Shashaa Tirupathi and Harshawardhan Wavare. Let’s have a look at this beautiful song below. 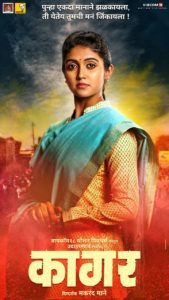 Rinku Rajguru has already created a solid fan base for her with her 1st film Sairat. It’s her 2nd film and people are waiting to see their Aarchi in a new role. Shubhankar Tawde has won people’s heart with his previous show Freshers on Zee Yuva and he is the son of popular Marathi actor Sunil Tawde. Kaagar is directed by Makarand Mane. It’s produced by Viacom 18 Studios, Sudhir Kolte and Vikas Hande under Viacom 18 Studios and Udaharnartha Nirmit banners. Kaagar will be releasing on 26th April 2019. I'm an enthusiast writer who brings perceptions to writing.